Nothing warms the soul on a blustery fall afternoon quite like a cup of whiskey-spiked coffee. But adding booze to the black stuff yourself is just exhausting. There has to be a better way. Luckily, an LA startup has created a cold-brew coffee made with whiskey rather than water, and they're currently awaiting federal approval to take this thing to the people. 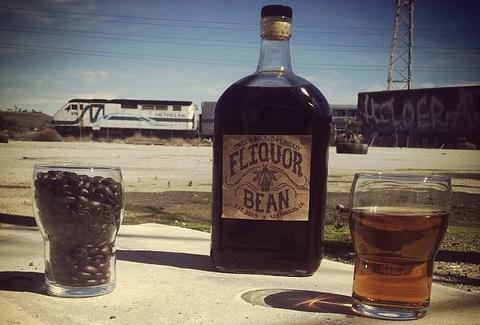 Fliquor Bean has been valiantly testing beans 'n booze combos since it launched in 2013. They've finally landed on a signature product, a cold-brew coffee (specifically, Stumptown’s Hairbender) that marinates in 90-proof whiskey (specifically, Bowen's) for 12-14 hours before being served over ice. Though Fliquor Bean is still very much a small-batch operation, founder Jerry Defazio is looking to expand by putting his goods on the market. He's now waiting on state and federal licensing, which we can only hope is forthcoming. Especially since weed-infused coffee remains trapped in Washington. Kristin Hunt is a food/drink staff writer for Thrillist. The most magical cup of Irish coffee she's ever had came from a hasty hotel coffee-machine operation. Follow her at @kristin_hunt.